WordPress backup is one of the most important steps you can take you safeguard your site. Building a successful WordPress blog requires time and serious effort. The same way it requires serious effort to build a successful WordPress site so should be the effort to safeguard it. Keeping your WordPress site safe requires every day effort to make the site hack proof and to create backups. The older your website become the greater the loss you can incur when it is hacked, or accidentally deleted or hosting suspended. These incidents can leave you disappointed but a carefully stored backup can be the best hope for you. 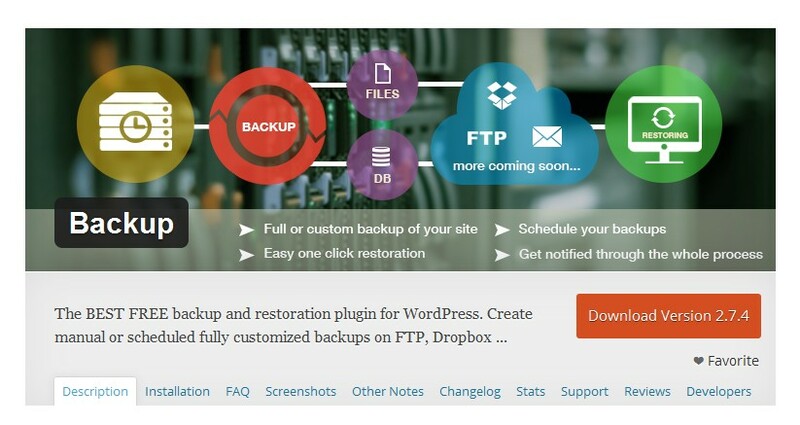 Take a few minutes to learn of free ways you can create backup for your WordPress site. There are a number of security issues that should concern every WordPress site owner; server errors, accidental data loss and security breaches are top of this list. To recover from such an eventuality, you should backup your site. Fortunately, there are many free ways to backup your WordPress site. Whilst, there are many plugins to help in WordPress site backup, it can often get confusing when choosing the one. I have gone through WordPress repository and picked the best 10 plugins you need to get the job done. We are going to focus on how to utilize these 10 freely available options to backup your WordPress site and recover from unfortunate incidence. We will highlight the features of each of these plugins to help you make an informed choice when creating a backup for your website. This is one of the best WordPress backup plugins that allows you to backup your WordPress site including the media and database to Dropbox. It is efficient, easy to use and works within a few minutes. This plugin has been updated and works with the latest version of WordPress. The plugin offers users the option of storing the backup at Dropbox or in own server. Installing the plugin is straightforward and has good user friendly options page. The plugin is also available in multiple languages like Arabic, Spanish, Chinese, English, German and Russian to just mention a few. This plugin also has some premium extensions but they are not needed to initially backup your website to Dropbox. You can download the plugin from WordPress repository here; WordPress Backup to Dropbox and backup your website immediately. 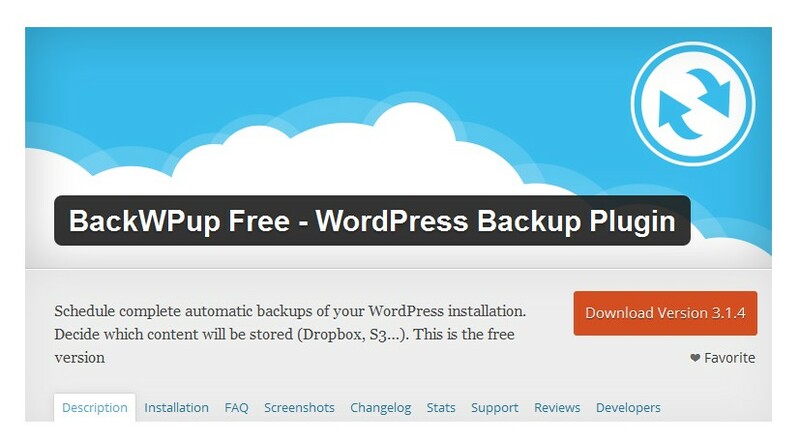 Updraft is another plugin I have used severally for backing up WordPress sites. This plugin is unique in its ability to backup your website to the cloud and in a wide range of services. 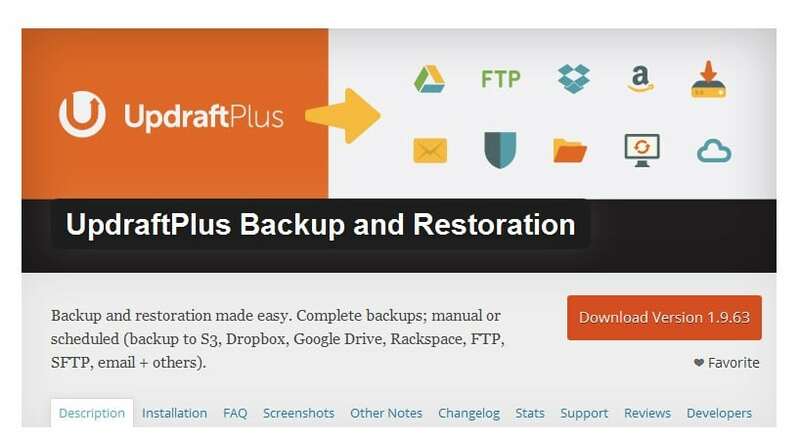 UpdraftPlus provides both backup and restoration solution that are of premium quality. 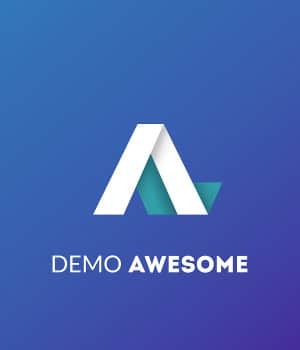 You can use this plugin to backup your site to Amazon S3, Dropbox, Rackspace cloud, Google Drive, DreamObjects, FTP, SFTP, SCP, WebDAV, OpenStack Swift and even in the email. This plugin offers you the ultimate simplicity of restoring your Websites with a single click. Quick restoration, site duplication, migration of sites, splitting large sites to multiple archives and automatic or scheduled backups are some of the best features offered by this plugin. You can find out more about this plugin and test it by downloading it from the WordPress repository; Updraft WordPress Backup plugin. 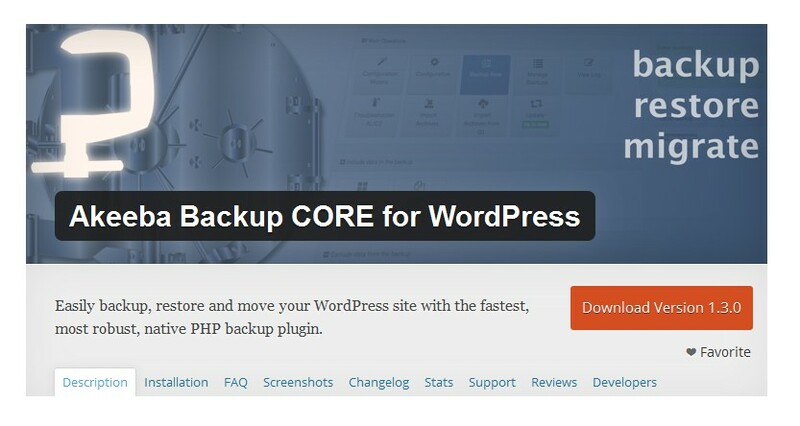 Akeeba Backup Core WordPress backup plugin is different from the other backup plugins. It is designed to create your site backup that can be restored on any server. This plugin creates a complete backup of your WordPress site and stores it in a single archive. This archive contains a database, installer and all the site’s files. BackWPup Free plugin is another great backup plugin you should try out. This plugin allows you to backup your site to backup services like S3, Dropbox and FTP among others. This plugin also allows you to restore your website from the backup .zip file created. The plugin is also available in multiple languages. There is also a premium version of the plugins that has more advanced features. Compared to other backup plugins this one is not complex and just offers the simple backup for a WordPress site. You can find out more about this plugin from the repository BackWPup Free and possibly try it out. Online backup plugin is unique in the sense that it comes with free 100MB space for you to backup your website. This plugin also support data encryption a good feature to safeguard your data against hacking. Creating a backup using this plugin requires you to place a backup either in your email, a folder in your server or the free 100MB provided. 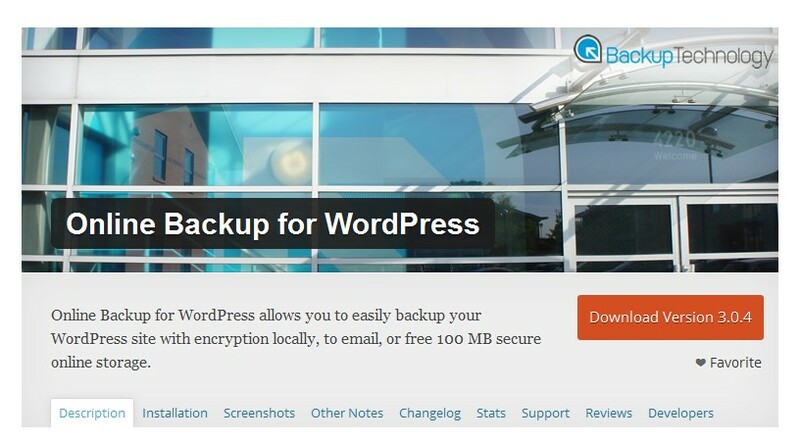 Backup WordPress plugin is another plugin that is best described as intuitive and allows users to backup their websites in the background rather than on the browser. It is useful for manual backup of data and it’s fast and easy to use. This plugin restores the site with one click restoration. It backs the data in Dropbox or FTP server of your choice. This is one of the backup plugins that utilizes automation to make your backup easier. You get notification on the progress of the backup and also allow you to create auto scheduled backups. You can download Backup plugin from WordPress repository and use it to backup your website. 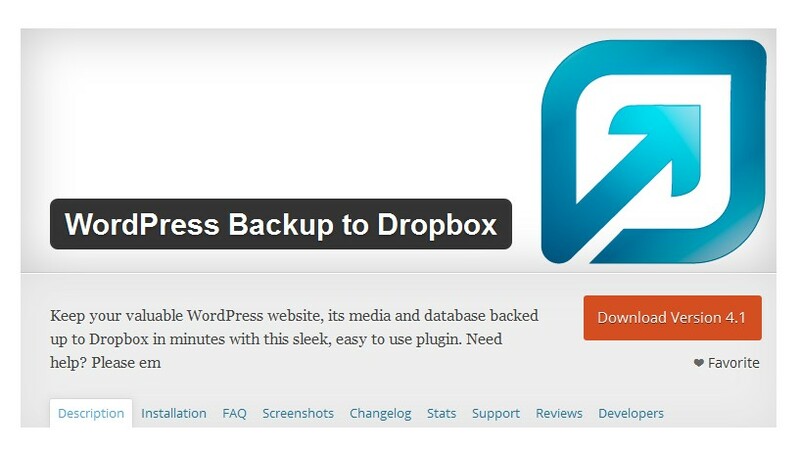 WP Backup may be simple but a very useful backup plugin that allows WordPress backup to Dropbox. The beauty of this plugin is that it allows automated backups to Dropbox a feature that might be missing even in some sophisticated WordPress backup plugins. With this plugin you can create and manage multiple scheduled backups and integrate seamlessly with Dropbox. This plugin has the one click restoration feature and works well in both Windows and Linux servers. The plugins features also include availability in various translations, good support, working in low memory environment like shared hosting and very easy to use. 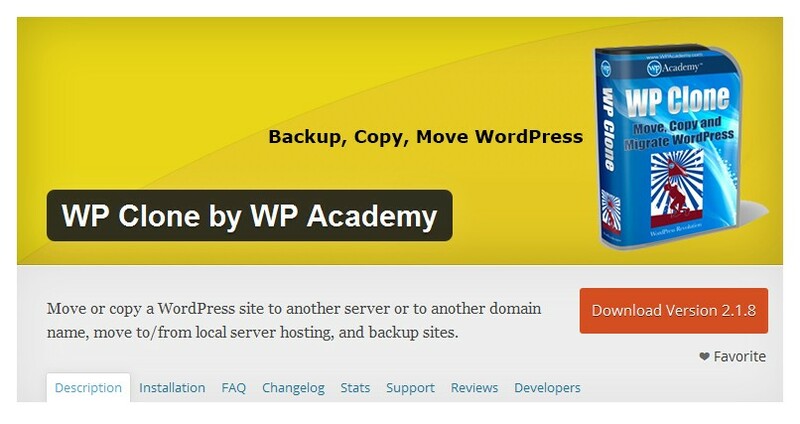 You can find out more about WP Backup plugin from WordPress repository. Duplicator is not your average WordPress backup plugin since it will require you to be savvy, particularly more knowledgeable on how WordPress works. It is a very useful plugin that you can use to migrate, copy, clone or backup your website when you are transferring it from one server to another. In the simplest description, this plugin acts as a simple backup utility that makes it easy to transfer a WordPress site from one server. You can try out Duplicator WordPress plugin for free and learn more about how it works. Obviously this is another fairly advanced plugin that requires more tech knowhow. I have used this plugin before and would recommend it highly. It is particularly useful when you need to move your website a new host. This plugin allows you to fully backup your WordPress site, transfer the backup and restore it on your new server. xCloner is free but also has the option of premium support. You can download xCloner Backup plugin from the WordPress repository and try it out. WP clone is another easy and fast way to copy a WordPress site from one location to another. This plugin offers the option to backup your website and move a site. This plugin can be used to create copies of your website and install preconfigured WordPress versions. This plugin does not require your FTP access you just require to upload and activate the plugin then follow the prompts. Unlike other backup plugins this one fetches the host http connection helping save you from file uploads. It also utilizes the internal WordPress zip function which makes it compatible with nearly all web hosts. 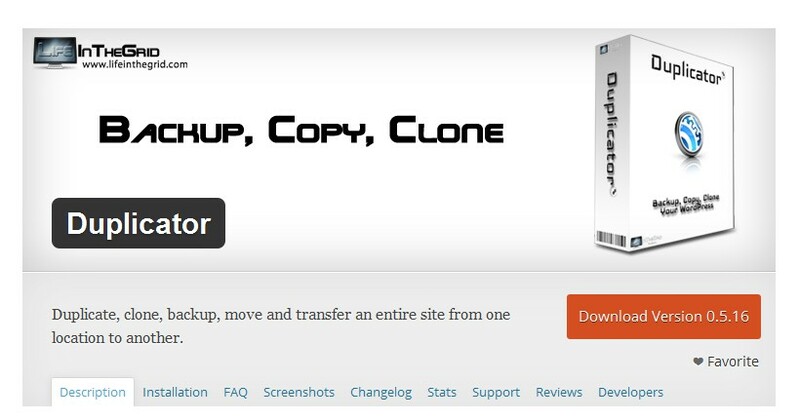 You can download WP Clone plugin from WordPress repository and try it out. Creating a backup for your WordPress site is a crucial step towards safeguarding your data. These plugins offer you limitless possibilities and ways of carrying out the backup and restoration tasks. Whilst these are great plugins for backing up your site, each comes with its own limitations. It’s advisable you take time to review the previous user’s comments regarding each of these plugins before you can use it for your backup and restoration tasks. Users provide important insights on the limitations of each these plugins and the common errors you are likely to encounter when using these plugins. If you have a budget you can also opt for premium support services from the plugin developer. 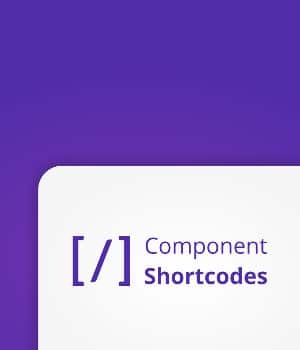 Wow thanks so much for shearing this great post and awesome plugin information . Glade i enjoy using it you can search backup&restore dropbox by wpadm i use it and it works for me.Thanks again for the post. Thanks for your educative and informative post. I an currently using Backup&Retore Dropbox plugin wpadm and so far it got an effective features no regret. I am currently using one of this wordpress plugin from WPADM Dropbox Backup&Restore its free to use.It’s been great using it so far. I use one of the best plugins i have come across: Backup & Restore Dropbox by WPAdm ( https://wordpress.org/plugins/dropbox-backup/ ). It is free and allows me to more backups and restores as I need and it is easy to use.